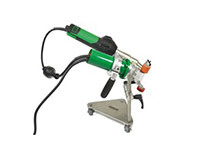 Leister offers economical and ergonomic hot-air welding machines for lap welding PVC and TPO plastic geomembranes on flat roofs. The VARIMAT V2 achieves a unique speed of up to 12 m/min. 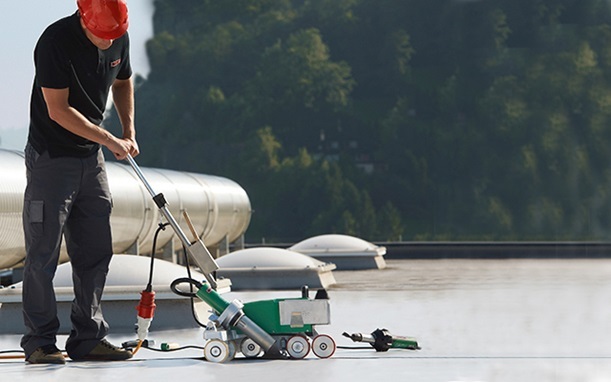 Flat roofs are made leaktight quickly and safely thanks to welding parameters which can be monitored and modified – even in adverse weather conditions. The easy to handle UNIROOF AT and UNIROOF ST really prove their worth in locations which are difficult to access, in the immediate vicinity of walls, for smaller roofs, and for narrow radii. 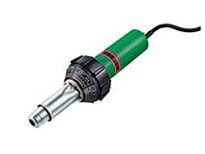 The small, semi-automatic TRIAC DRIVE AT welding machine is suitable for boarding and channels. 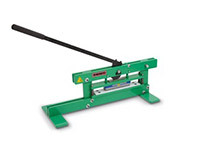 Before the base seam is actually welded, the connection quality can be checked using the EXAMO tensiometer. 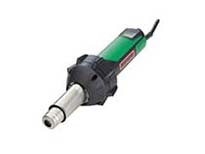 Leister offers tried-and-tested hand welding tools for all precision work, above all the TRIAC ST/AT, which impresses users with its robustness and reliability. 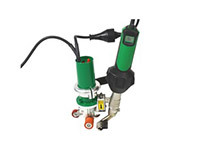 Ergonomic and economical welding of plastic geomembranes with Leister's reliable hot-air welding machines. A wide range of hand welding tools and matching accessories are available for working on small roofs, on details and in inaccessible locations. 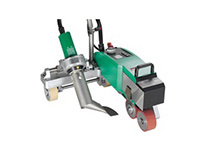 Long service life with low maintenance requirements. 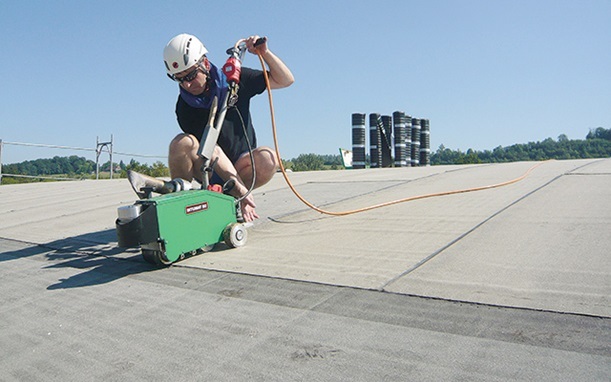 When it comes to welding bitumen roofs, Leister proves that economy and safety do not have to be mutually exclusive: Unlike when welding with an open flame, Leister's BITUMAT B2 can be used to lay modified bitumen completely safely and cleanly. 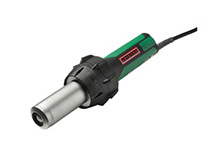 With a top speed of up to 12 m/min it is incredibly economical to run, particularly as only one user is needed for this process – when working with an open flame, two are required. 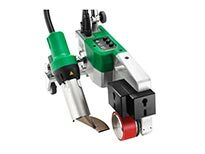 The ergonomic posture adopted during welding is also well-received by the user. Leister's hand welding tools, such as the powerful ELECTRON ST, which provides up to 3400 W, are also suitable for carrying out precision work on bitumen roofs too. 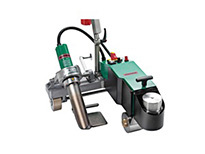 Leister enables modified bitumen to be welded easily and safely, with hot air being used instead of an open flame. 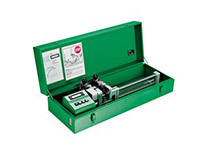 Robust weld test cutter for use in civil engineering.